Kashmir is known to be the crown of India and indeed it looks no less than that. It is also one state that collects the highest revenue for tourism. Keeping that in mind we at Assafar.com, make a point to help the tourists with all the types of Kashmir tour packages that they need while visiting the place.If you are looking forward to visit the ‘Paradise on Earth’ sometime soon, then do not stop yourself from making yourself available. Feel the mesmerizing beauty of the state and give a treat to yourself. Avail our Kashmir holiday packages and spend some golden days in the various places of the state. 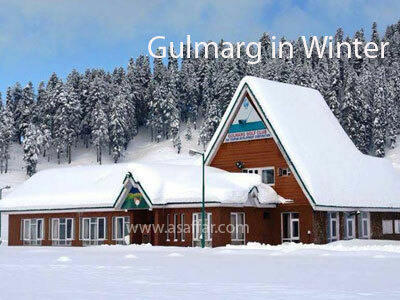 We offer our services for places like Amarnath, Gulmarg, Sonamarg, Pahalgam, Srinagar and Dal Lake. Based out at Srinagar, we are in association with over 100 hotels and houseboats in Kashmir. We have dealt with many of our clients all these years and understood that money is not a constraint when it comes visiting to a new place and spending some quality moments with the close ones. We allow you to design your own unique tour. Keeping in mind your needs, we design exquisite itinerary to make you see authentic India, eat mouth-watering local food and feel like a rustic more than an onlooker. Our local guides of ethnic groups will accompany you during your tour. The best English speaking and multi-lingual guides are handpicked by our local partners. They strive to offer real insight into the country more than mere dates and names, making difference between a good trip and an outstanding one. Our specialists have vast knowledge as they have traveled extensively or lived in their specialist regions. Your trip will be handled solely by a tour specialist from the beginning till the end of the tour (without any change). We guarantee that our clients will never be disappointed with our services as we are more concerned about the satisfaction of our clients than expanding the size of our pockets. So, if you have made up your mind to explore the crown of India, do not hold yourself back and get in touch with us as soon as possible. Our charges for each of the service are quite less than that of the other travel companies you usually come across and we also confidently make clear about the guarantee of no hidden fee in any of our service. So, make your plan successful with us and land up at one of the most beautiful corners of the world. Kashmir is known to be the crown of India and indeed it looks no less than that. It is also one state that collects the highest revenue for tourism. 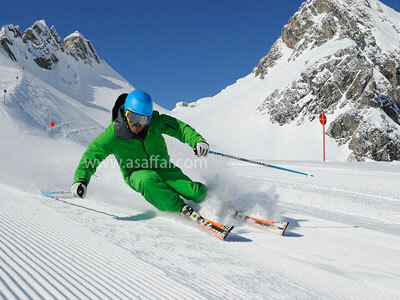 Keeping that in mind we at Assafar.com, make a point to help the tourists with all the types of Kashmir tour packages that they need while visiting the place.Every tourist wants high-quality services and we make a point to endow them with the same. Tourists can avail various facilities like a host of Indian and Foreign Schaffer driven Cars, MUV and SUV's for hire, when they take services from us. We ensure you that you will not make any complaint against our drivers as they are known for their Discipline, Etiquettes and Courtesies.